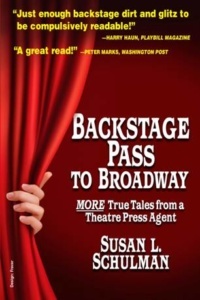 At the Drama Book Shop on Monday September 24th at 5pm a book launch event for the second edition of Susan L. Schulman’s memoir “Backstage Pass To Broadway: More True Tales from A Theatre Press Agent.” Washington Post chief theatre critic Peter Marks will join Susan in a discussion about Broadway, now and then. (And it is free!) 45 minute talk followed by book signing. 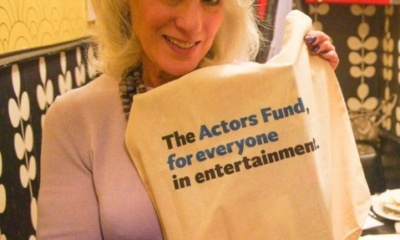 On October 14th Jamie deRoy & friends cabaret initiative where the proceeds benefit The Actors Fund. 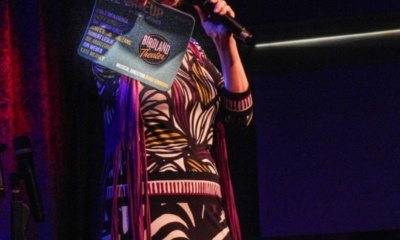 We love that Joan Ryan is performing. 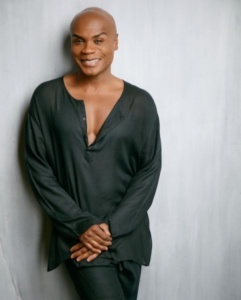 Nathan Lee Graham, the singular Grammy Award winning performer from Zoolander, HBO’s “The Comeback,” Broadway’s Priscilla and more, in the world premiere of his first evening of all theater music “All Things Bright and Beautiful: A Sondheim Salon” on Thursday, October 11 at 7:00 PM at The Green Room 42. 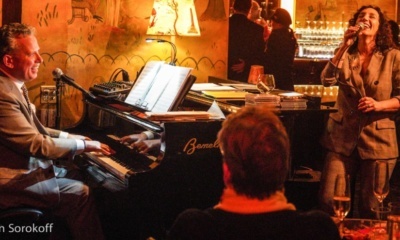 From the dramatic ballads of Follies to the comedic highlights of Forum, Graham will perform a vividly creative cross-section of the Pulitzer Prize-winning composer’s most beloved creations. After a whirlwind year in which Graham was nominated for a Lucile Lortel Award for the hit Off Broadway musical The View UpStairs to starring in the Fox TV series “LA to Vegas” opposite Dylan McDermott, Graham will present a romantic, 19th Century-style evening featuring songs such as “Loving You,” “Bounce” and “Being Alive.” He will be joined by musical director Tracy Stark on piano with Peter Calo on guitar. 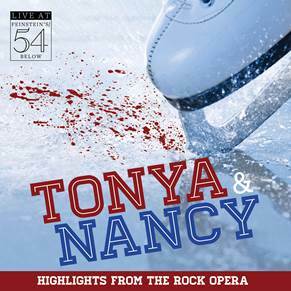 Tonya & Nancy (Highlights from the Rock Opera) – Live at Feinstein’s/54 Below will be released digitally and in stores on Friday, September 28, 2018. The album is currently available for pre-order at www.BroadwayRecords.com. Based on the Tonya Harding/ Nancy Kerrigan Olympic skating scandal, Elizabeth Searle’s and Michael Teoli’s rock opera Tonya & Nancy has drawn national and international media coverage, playing in Boston, Chicago and LA as well as enjoying a sold-out run at NYMF. Tony-nominated Broadway star Lauren Worsham (A Genleman’s Guide To Love and Murder) headlines as Nancy, alongside Ashley Spencer (Rock of Ages, Grease)as Tonya. Tonya’s and Nancy’s ‘Mom’ embodied by Nancy Opel (Urinetown) plays emcee — and occasionally referee — as Tonya, Nancy and knee-attack conspirator ‘Gillooly,’ portrayed by Tony LePage (Rock of Ages), belt out songs including Tonya’s “Watch Your Back” and Nancy’s aria, “Why Me?” Recorded live at Feinstein’s/54 Below, Tonya & Nancy has been hailed by critics on both coasts as “brilliant.” Let the games begin. Produced by Michael J Moritz Jr, Michael Teoli and Brandon Loewit. David Sisco and Laura Josepher, owners of ContemporaryMusicalTheatre.com, will present a free masterclass, followed by signing copies of their book, “Mastering College Musical Theatre Auditions: Sound Advice for Students, Teachers, and Parents” at Drama Book Shop’s Arthur Seelen Theatre (250 W. 40th Street) on Saturday, September 22 from 2-4 PM. 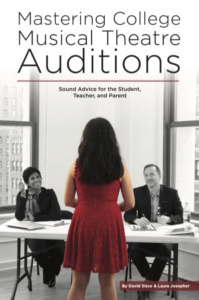 The book, which has been vetted by musical theatre educators, parents, teachers, and industry professionals, is the most comprehensive resource for high school students wanting to give successful college auditions. Each chapter focuses on a question central to the audition process, with special sections for the student, teacher, and parent. A robust Appendix features up-to-date rosters of overdone audition material, recommended songs and monologues, and information on how to properly learn new material and make intelligent cuts. Sisco and Josepher will publicly coach a small handful of juniors and seniors first come, first served. Interested students should email Laura Josepher at laura@contemporaymusicaltheatre.com for more information. 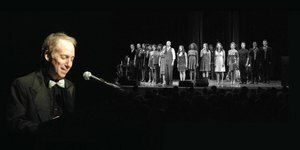 Founded in 2012, ContemporaryMusicalTheatre.com is the largest online database of contemporary musical theatre writers and songs, representing over 180 writers and 600 songs, searchable by voice and song type. The site allows subscribers to research specific details about each song (including range, tessitura, accompaniment difficulty, etc…) and listen to a full performance before purchasing and downloading up to three watermarked copies of the score. Because the resource is a subscription site, writers get 100% of the sale price of their songs. 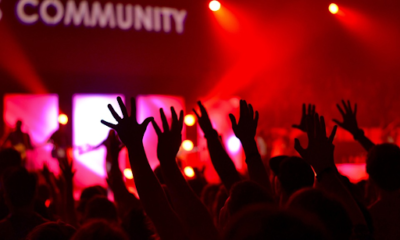 Business owners David Sisco and Laura Josepher are the authors of “Mastering College Musical Theatre Auditions” (available on Amazon) and frequently teach masterclasses and workshops through their company. 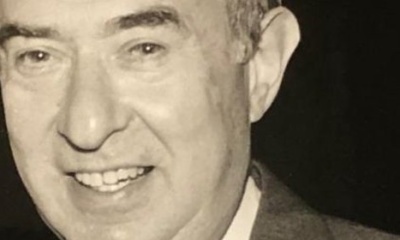 Together, they have taught at Broadwy Workshop, Hoff-Barthelson School of Music, Lucy Moses School, Marymount Manhattan College, NYSTEA (New York Theatre Educators’ Association), NYU Steinhardt, Rider College, Riverdale Country School, and Den Danske Scenekunstskole in Denmark. 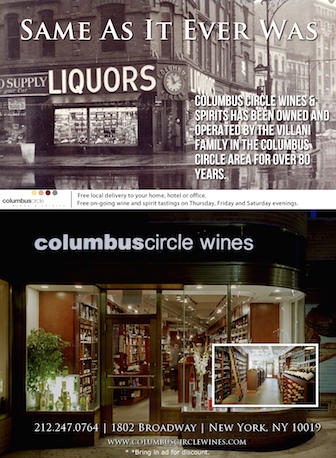 Founded in 1917 by the Drama League, the Drama Book Shop became an independent store in 1923. 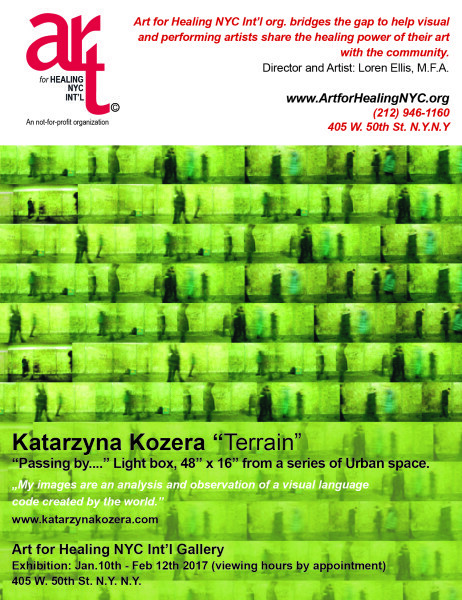 It has moved several times, but since 2001 it has been located in a 5,000-square-foot space on West 40th Street in Manhattan. The basement houses a 60-seat black-box theater, and a staff of about 20, many of whom are actors or have theater-related interests, assists the thousands of students, theater professionals, and award-winning artists who pass through the shop’s doors. In 2011 the Drama Book Shop received a Tony Honor for Excellence in the Theatre. 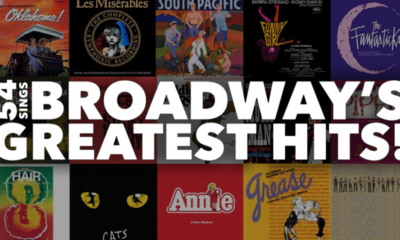 Given since 1990, these awards are bestowed on individuals, organizations, and institutions that have demonstrated profound achievement in theater but are ineligible in any of the established Tony categories. Join a cast of Broadway’s biggest stars as Feinstein’s/54 Below wishes “Happy Birthday” to everyone’s favorite singing postulant with a supercalifragilisticexpialidocious show that will be one loverly night! 54 Celebrates Dame Julie Andrews will feature Kathryn Boswell (Anastasia), Eden Eernissee, Ellie Fishman (Finding Neverland First National Tour), Danyel Fulton, Jason Gotay (Bring It On, Freaky Friday), Michael Hartung (Hello, Dolly! 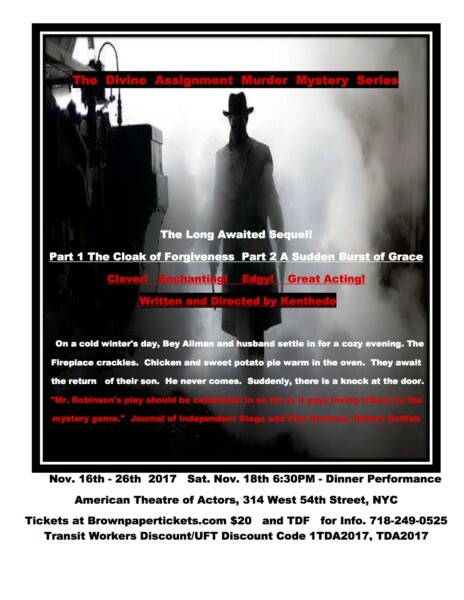 ), Storm Lever (Summer: The Donna Summer Musical), Samantha Massell (Fiddler on the Roof), Isabelle McCalla (The Prom, Aladdin), Bobby Conte Thornton (A Bronx Tale), and Michael Williams (Bullets Over Broadway). 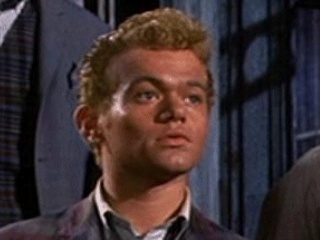 The show was conceived and is directed by Michael Fling, with music direction by Jonathan Brenner. 54 Celebrates Dame Julie Andrews plays Feinstein’s/54 Below (254 West 54th Street) on Sunday, September 16 @ 9:30 PM. Doors open at 8:45 PM. Tickets start at $35, with Premiums available for $75. Food and beverage minimum of $25. Tickets and information are available at www.54Below.com/events/dame-julie-andrews/. Tickets on the day of performance after 4:00 are only available by calling (646) 476-3551. Julie Andrews is an Oscar-winning actress and singer famous for her prolific Broadway and film career in such classics as My Fair Lady, Rodgers and Hammerstein’s Cinderella, Camelot, Mary Poppins, The Sound of Music, Thoroughly Modern Millie, Victor/Victoria and The Princess Diaries. Julie Andrews was born on October 1, 1935, in Walton-on-Thames, Surrey, England. She was a hit on the English stage before duplicating that success on Broadway, where she received Tony Award nominations for her roles in My Fair Lady, Camelot and Victor/Victoria. She won an Academy Award for playing the title role in Mary Poppins and was also nominated for her performance in The Sound of Music. Andrews later worked on a number acclaimed films with husband Blake Edwards, and was made an English dame in 2000. 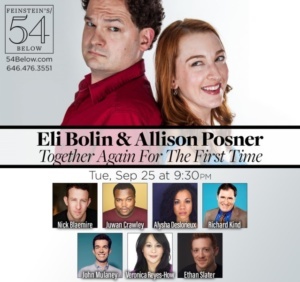 John Mulaney (Oh, Hello on Broadway, Kid Gorgeous) has just been announced and will be making a special appearance at a Feinstein’s/54 Below concert, “Eli Bolin & Allison Posner: Together Again For The First Time” on September 25th at 9:30pm. Eli Bolin (Found, Volleygirls, Skippyjon Jones: Snow What) and Allison Posner (Volleygirls, The Last Song of Eddie Scourge) are a husband and wife duo, who are teaming up to perform original songs and some of their favorites with friends from Broadway, off-Broadway and beyond. We have some exciting guests including Ethan Slater (Spongebob Squarepants), Nick Blaemire (tick, tick…BOOM!, Godspell), Alysha Deslorieux (Once on This Island, Hamilton), Juwan Crawley (Aladdin, Spamilton), Richard Kind (The Big Knife, The Producers), and Veronica Reyes-How (25th Annual Putnam County Spelling Bee). Linda Eder, enduring star and Theatre World Award winner for Jekyll & Hyde, gloriously returns to Feinstein’s/54 Below with a showcase of her celebrated and versatile talent. This beloved vocalist has sold out stages worldwide, including our own. By popular demand, Linda will bring her powerhouse voice back to our intimate venue for a very special engagement, singing from her latest solo album If You See Me. 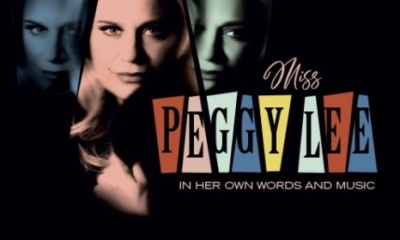 Featuring highlights from her eighteen albums, musical theatre career, and beyond, this is a night of lush melodies and sensational songs like you’ve never heard them before, interpreted by a once in a generation talent. 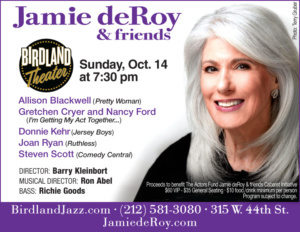 Actor Therapy goes Feinstein’s/54 Below! Hosted by award-winning composer-lyricist Ryan Scott Oliver (35mm, Darling) and Tony Award-winning Broadway actress Lindsay Mendez (Carousel, Significant Other, Wicked), Actor Therapy is a series of masterclasses for performers looking to improve their auditions, build a better book, and expand their understanding of what it means to be an actor and song interpreter in New York today. 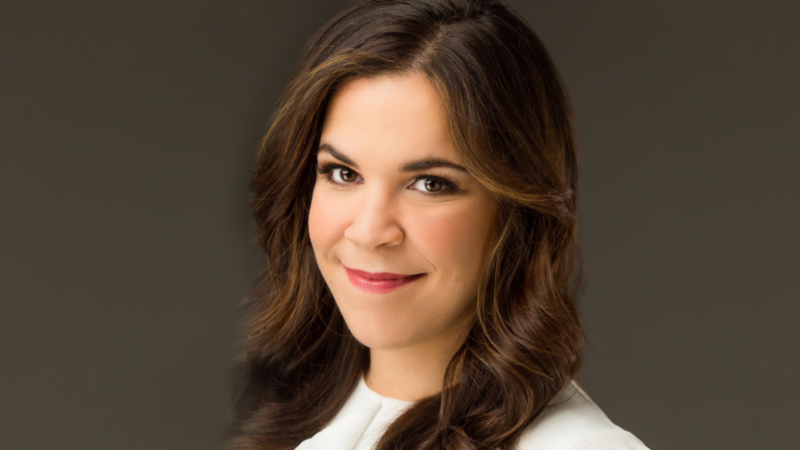 Join Ryan Scott Oliver, Lindsay Mendez, and their cast of talented performers as they celebrate the alumni of this memorable program! Featuring: Abigail Ackley, Mariel Blatt, Ethan Carlson, Emily Sarah Cohn, Dee Danis, Samantha Ferrara, Emily Durand, Alina Fontanilla, Alden Gagnon, Kaitlyn Gill, Joe Hornberger, Noa Miranda, Chelsea Moss, Alex Perez Pagnozzi, Brendan Paine, Jacob Rienstra, Nathan David Smith, Molly Spain, Mari Uchida, Wilson Ward, Holly Wasson, and Mathieu Whitman. 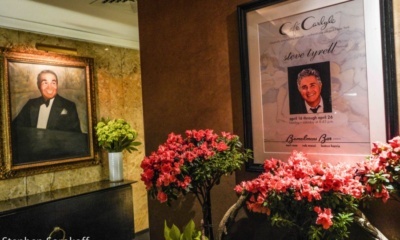 From November 27-December 31, Grammy Award-winner and two time Emmy nominee Steve Tyrell celebrates his 14th anniversary performing in Café Carlyle’s revered holiday slot with an all-new show, Holidays at the Carlyle.